I tried three kinds of Hennessy Cognac: VS, VSOP Privilege, and XO. 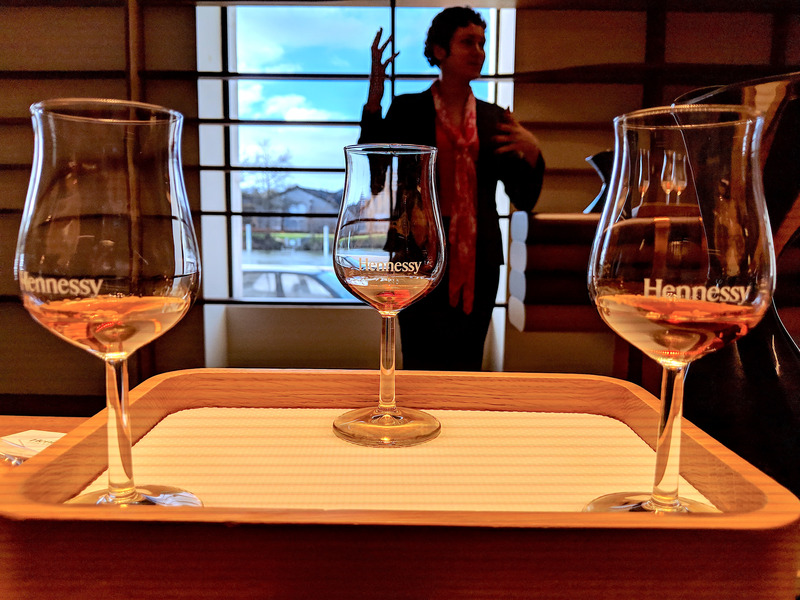 I recently visited the Hennessy distillery in Cognac, France, where a cognac expert and tour guide explained the best ways to drink three different types of the spirit. The younger types of cognacs, VS and VSOP, can be used in a variety of different ways, including in cocktails. But the XO, or "Extra Old," aged for a minimum of 10 years, should be drunk either neat or on ice. To open up the aroma of a cognac, you can add a bit of cold water if you're drinking it neat. I recently visited the Hennessy distillery in Cognac, France, a small town about a five-hour drive from Paris. Hennessy, one of the major cognac houses, was founded in 1765 and offers guided tours and tastings at its headquarters on the banks of the Charente River. On one of these tours, cognac expert and tour guide Gwendoline Poirier explained the best ways to drink three different types of cognac. With Poirier, I tried three different types of Hennessy cognac: VS, VSOP Privilege, and XO. The youngest Hennessy cognac, VS or "Very Special," is aged between two and eight years and is "the world's most popular cognac," according to Hennessy. Poirier described the taste as "fresh fruits, grapes, and citrus flavors. And after, I can feel more vanilla flavors, toasted almonds, creme brulée, these types of aromas." You can drink the VS in a variety of different ways, Poirier said. 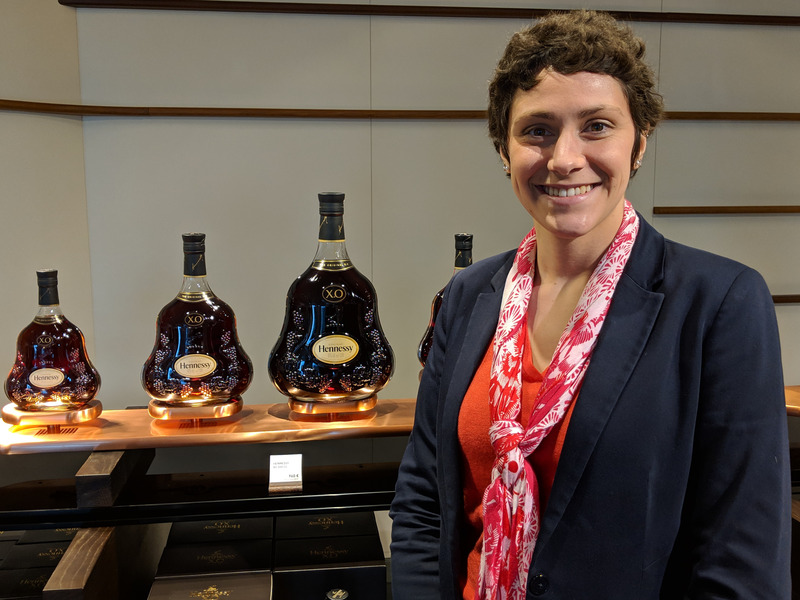 Gwendoline Poirier, a Cognac expert and tour guide at the Hennessy distillery in France. One of these ways is in a cocktail such as the Summit, which includes lemonade, ginger, and lime. In France, a professional committee in charge of communications for cognac is encouraging more people to try such drinks. "They're the ones starting to talk about this cocktail and make it a little bit more trendy and something quite easy to drink and to make at home," Poirier said. You can also, of course, drink it neat or with ice, she said, but it will taste a bit stronger than the longer-aged cognacs. The next cognac, VSOP Privilege, which is aged for at least four years on average, is also used in cocktails. At my tasting, I tried a drink called the Sazerac. To make it, a tumbler glass is first "washed" with absinthe, which was once blamed for driving drinkers to insanity. "[Absinthe] is very powerful, so you won't be able to feel the other ingredients if you have it in the blend," Poirier said. 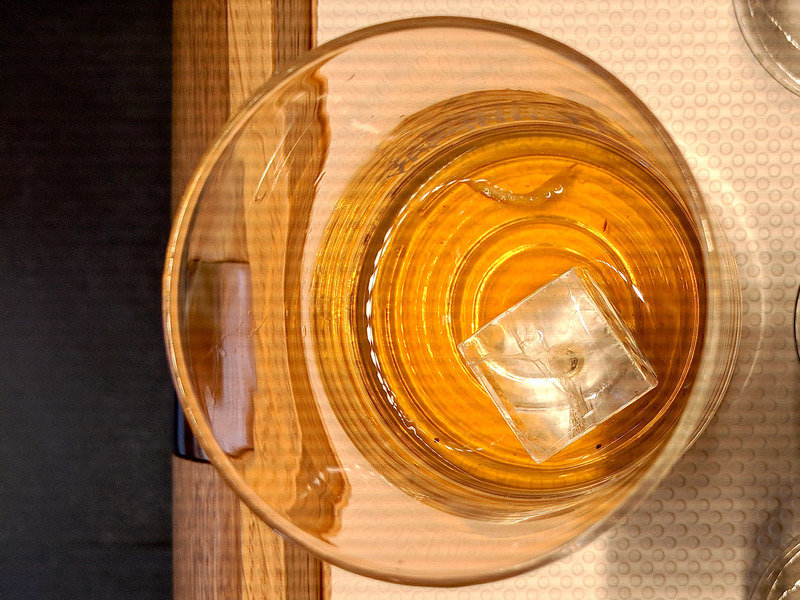 The Sazerac also includes ginseng, cinnamon and other spices, simple syrup, and Angostura bitters. My cocktail also had a non-traditional ingredient: oolong tea, in celebration of the Chinese New Year, which was coming up at the time of my visit. I tried the Sazerac cocktail, which is served in a tumbler glass rinsed with absinthe and includes Hennessy VSOP Privilege, ginseng, cinnamon, simple syrup, and Angostura bitters. When you level up to the older Hennessy XO, or "Extra Old," which is aged for at least 10 years, you want to drink it either neat or on the rocks, Poirier said. When drinking it neat, you should use a tulip-shaped glass, which allows you to "really enjoy the color thanks to the shape and for the aroma to get to your nose," Poirier told me. But if you're drinking your cognac with ice, a tumbler glass is best. You can also simply add cold water to your cognac. "Water will create a sort of explosion of the molecules, of the aromas, so it's easier to find the aromas," Poirier said. "Even the tasting committees are always adding a bit of water." According to Poirier, the most important thing is to enjoy cognac however you like it. "We don't like to tell people, 'OK, this is the good thing, this is the bad thing. This, yes. This, no,'" she said. "It's more advice ... Otherwise, just have fun."